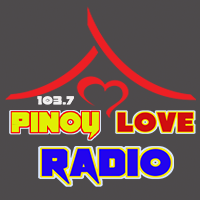 The website was established APRIL 9,2012 by a Filipino for a Filipino, especially those residing abroad.PLR broadcast live FM radio stations from the Philippines and from around the globe 24/7.The 103.7 Pinoy Love Radio internet Radio station exists to reach our Kababayans and OFW’s through providing OPM’s and variety of music genre.Our dedicated and experienced PLR team Disc Jocks, moderators, Web Developers, will assure that you will find a lot of diversity in music, local & international, and the continuous effort to update you about Pinoy Music. In addition we value our Pinoy local and world artist by helping them promote their albums, cover and original songs on air! It is also our mission to create a greater multiplicity by connecting PLR families and people worldwide through our Music and Chat.So If you miss your favorite Philippine’s FM Radio stations, you don’t have to miss it because we will bring it live for you.Join us and listen.